David Wallace Hobson was born on March 24, 1959 in Columbus, Ohio to the union John Lorenzo Hobson and Doris Marie Hobson-Ford. To every beginning there is an end, and to every moment of time, there is a change. David was taken home with God on January 9, 2018. David accepted and acknowledge God at a early age. David never married or had children. David was educated in the Columbus City School System. 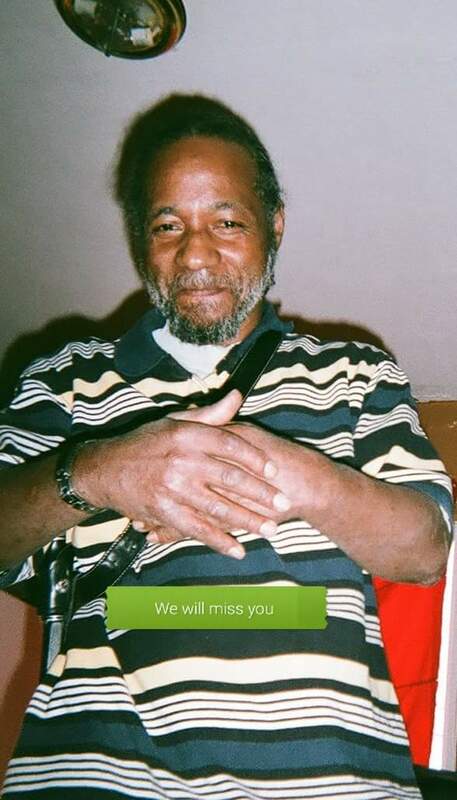 He worked as a cook at Christopher Inn for many years. One of his many talents was to work on cars. He loved to drop transmissions and engines. He had a natural gift of taking things apart and repairing them. David loved to cook, especially in his crock pot. He loved to sing, dance, joke, and make others laugh. There were two songs he was known for singing. One of the songs was the barney “I love you” song and the “I’m just a nobody” by the Williams brothers. He also had a habit of calling you in the wee hours of the mornings. he is preceded in death by his grandparents Rev Joseph H. and Ruth H. Sowell Sr., John Forest Hobson, Bertha Mae Stubblefield, and special aunt Dorothy Mae Jackson. He leaves to cherish his memory with sisters Karla (Melvin) Brown, Teddy, Maria, And Amia Ford, Victoria Hobson, Johnell Ward, brothers John L. Hobson II, Walter Lee Ford Jr., aunt Brenda Sowell, Uncle Richard (Jackie) Sowell, special cousin Stephen Sowell, also a host of nieces, nephews, cousins, and friends. viewing at 11:00 AM and Funeral at 12 noon on January 18, 2018 at Shiloh Christian Center 787 E. Broad St.
Our thoughts and prayers are with you and your family as the Lord comforts you and your loved ones.